Since today is the first official day of Spring, and as promised, I will be providing individual reviews for the Body Shop products from the Spring collection. First up, is my favorite from the crop which is the blusher, Kiss of Colour Cheek Blush. It's impossible not to take note of this limited edition item from TBS. After all, it comes in a unique stamping package, ready to give you a glow any time of the day and anywhere! Give cheeks a radiant, rosy tint of colour in an instant thanks to the innovative blush stamp, easily portable for make-up application ‘on the go’. The sponge applicator is coated in the pressed powder so it can be applied lightly to the cheeks for a fresh-faced glow. Cheeks look like they have been gently pinched by Mother Nature. Available in two delectable shades – Limited Edition 01 Vibrant Rose and 02 Golden Coral - the blush is stylishly presented in a fresh white pack with a handy mirror for making-up on the move. To help care for skin, the Cheek Blush features moisturising Community Trade sesame seed oil and Community Trade Brazil nut oil.
] shade, I thought it wouldn't look as good on me, better than any other pink-hued blush would. But of course, I was wonderfully surprised that it's still a flattering shade after all. Unique! I've never seen a blusher like it and I likey! Plus it comes in white, too, which is a bonus for me. Space-saver. The stamp blush occupies very little space in my bag. Also, the blush is compact which contributes to it being not messy at all. Convenient to Use. Shen and I were joking that this little baby comes in handy just before entering the boardroom as all you need are two dots and minimal blending. Natural. I like that this blush comes on sheer as I always make the mistake of putting on too much. With this, I'd have to add more for emphasis, or layer it with another blush, which is what I do most days for gradient. Smells good! I'm not sure why but it may be the natural oils infused in it. I love smelling it while stamping it on cos it's so faint you just want more! The little mirror on the bottom of the blush can get quite handy for touchups! Long Lasting. Again, let the oils take credit for it! It may be their 'fault' why the blush stays on longer. Yay! Hygiene. How am I supposed to clean/wash the stamping pad? I've been using this blusher for more than a week now so I'm not using the pad anymore. I use my favorite blush brush though. Price. 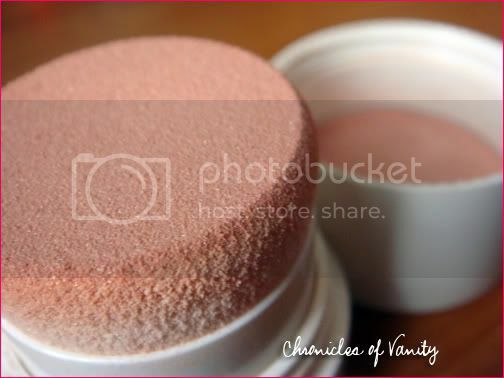 For something a tad smaller for a regular blush, it can be quite expensive at Php 1,395. Though my guess would be because it is limited edition but still? Will I buy it again? Yes! If it went on sale. Here is a photo of me wearing the blush with NARS Oasis.Like I said, I wear them together as I've discovered they are great on top of each other. TBS kinda acts like the background blush and NARS is the foreground and there is a beautiful gradient on my cheeks. Love! This is my happy face! :P Except that I have a zit, darn! Want to read a review on the Vibrant Rose variant? Click here for Nikki's review! BTW, Shen just published her new blog! Subscribe and blog about it to win a BDJ Planner [with all the yummy coupons inside!] and a Php 500 GC from Ellana! 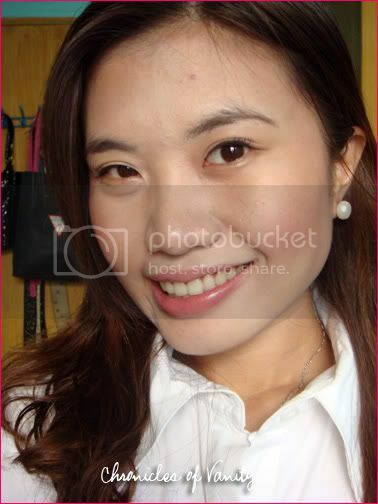 Manila Beauty Blog How do you kiss your way to happiness? ¿Qué te trae la alegría?